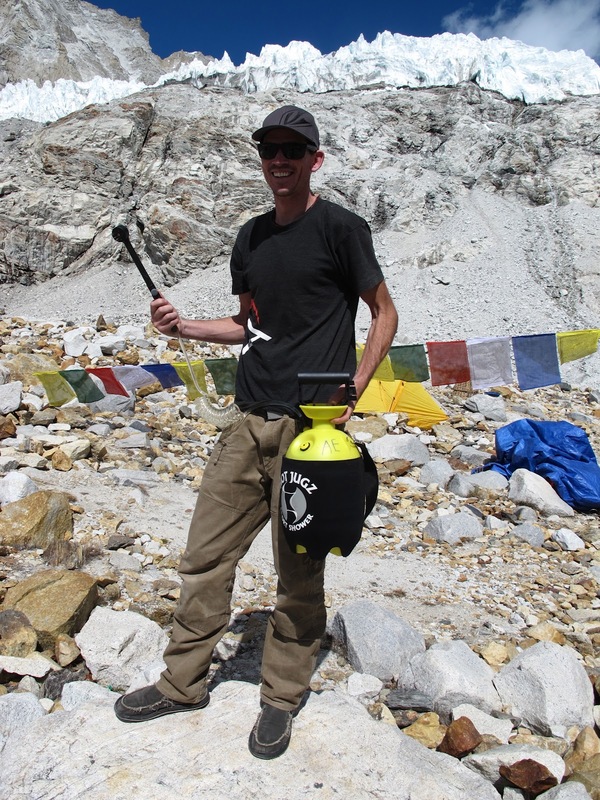 Showering at 5700m - not for the faint hearted….! A Vision of Home - Makalu Base Camp At Last! Destination Makalu Base Camp - Almost..! I’ve gone on quite extensively about ‘Advanced Base Camp Hilton’ that we are quite comfortably occupying here at 5700m. With it’s 5* high altitude kitchen, 5* tent accommodation, 5* ‘lounge’ room, and 5* toilet facilities it’s worth paying special mention to the 5* shower… yes, in spite of the temperature range between -5 and +15 we do have a particularly luxurious shower – complete with hot water, luxury spa products with which one can ‘lather up’ and a high altitude sauna (aka, the lounge room). Here at ABC not only do we have an array of spa products from which one can choose to wash away that high-altitude ‘build-up’ after days of suffering sub-arctic conditions, we have a shower (JUGS Sport Shower) that you can use ‘on the move, anywhere’…. 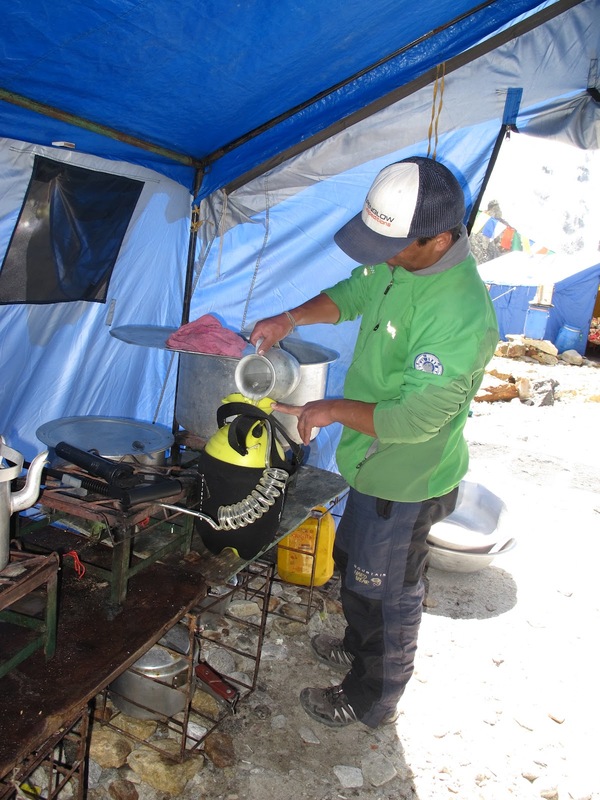 Even at 5700m in the privacy of your own base camp. The showering… errrr…. Spa system is of the ‘pump’ variety. A plastic container which resembles a giant plastic gas-tank is filled with luke-warm water in the kitchen. 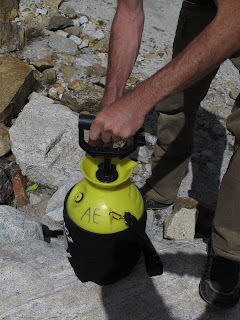 The pump and ‘shower head’ is then connected, carried to the shower tent and then ready for use..! One full container will be enough for a luxurious 5 – 7 minute shower – more than enough for a deeply nourishing lather, rinse, repeat. Several notes of caution – avoid cold gusts of wind, frozen zippers, and don’t lose track of time as it’s not a place where you’ll want to run out of water! Seriously… could it get any better than this?